Kudos to Supernatural for once again showing all love in a supportive light. Positive representations of relationships give us hope that all hunters won’t end up sad and alone. There is hope…if your name’s not Winchester. I like the through line of Jesse and his brother Matty. Yes, little Jesse has a crush on a boy at school, and yes, there might be some that don’t approve, but his brother is loving and welcoming without judgment. Plus, when they get older, Matty’s going to get them both out of their small town so that they can have a better life. Feels a lot like a Winchester parallel in many ways. 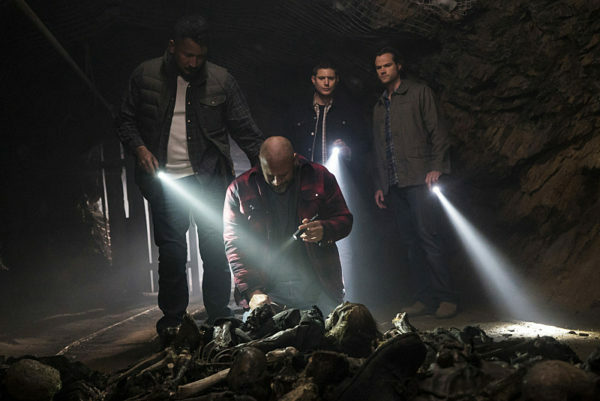 And when older Jesse is revealed again, showing how the tragedy of his young life has shaped his path, it’s a whole lot reminiscent of the Winchesters’ journey, too. Dean would do anything for his brother, loving and supporting and protecting him without end. 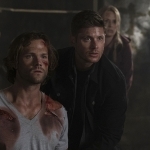 And the loss of their mother early on, the fact that Dean had to be both father and mother to Sammy throughout his life, has affected both Sam and Dean in many ways. They couldn’t trust anyone but each other. And that’s why they have an unbreakable bond even now. 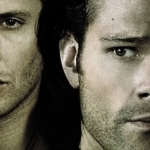 Also, I love that Supernatural shows gay relationships without making it a point. Sometimes hunters marry each other, and it’s a hopeful future if they can make it last and not die. Jesse had his closure finally, able to give his brother a true hunter’s funeral, and now he can retire with Cesar with a clear conscience. Dean and Sam have yet to reach that point, but they can learn a thing or two about what might be. They already have a home together, a life together, and they’ve essentially settled down and devoted their lives to one another. While Jesse and Cesar are hoping to put the hunting life behind them and become civilians, Dean and Sam are forever dedicated to the hunt. But as long as they have each other, it’s not such a bad life. The Winchesters’ lives right now are focused on the world ending (again) instead of reveling in the nice bunker they’ve made a home. 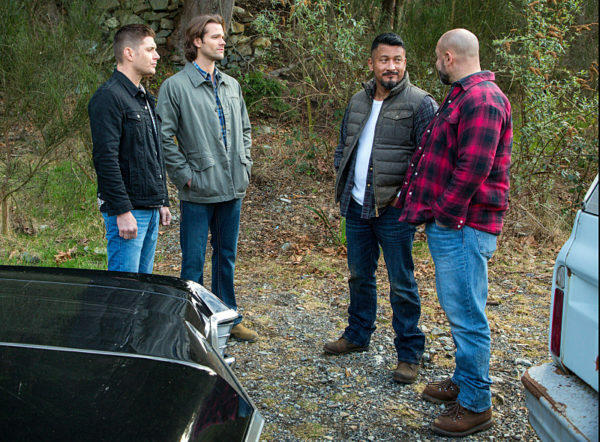 They don’t have any leads on Cas or how to stop Amara, but they’re going to have to do it alone. No relying on outside help, it’s two brothers against the world. 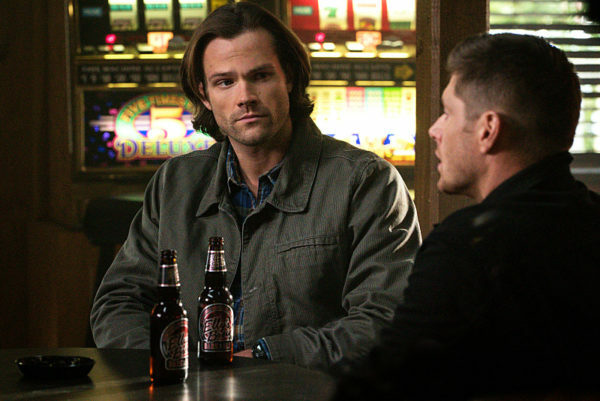 I do like that Sam revealed his fears growing up, that one time maybe Dean wouldn’t come back after a hunt. That’s a fear that is still continuing for both of them. Their most tragic fate is that one doesn’t survive, while the other is left behind. And, as Cesar said, being committed to another hunter means double the worry about death. The boys are soul mates, bonded forever, and they will constantly have to come up against that fear. That’s why they watch each others’ backs. The case was almost secondary, as has been the situation often lately, but it was a nice, simple outcome that made sense. Unknown monster comes up to breed every 27 years, has interesting side effects on its victims, a few attacks and dead bodies, and we have a case. I like when the boys still come up against a monster they haven’t seen before. Log it into the journal and the Men of Letters library for future use! Seriously, the boys could open up a hunters help guide online and make tons of money if they ever did get around to retiring. So much knowledge, so much potential. Overall, a good case story that solidified some parallels without being too heavy-handed. Onward to saving the world!